And we keep getting more! Great Haiku… I am new to your blog. Looks like one I want to follow! Thanks for stopping by, Joey! I love how the top of the fence captures the snow, the whole thing works so well in black and white. 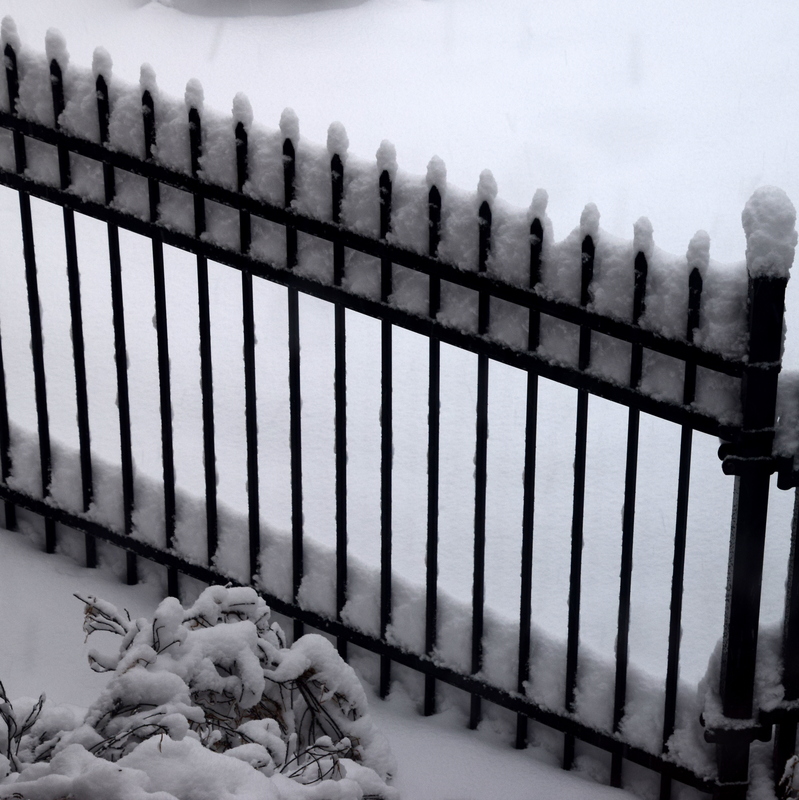 So amazing and delicate how the snow mimicks the shape of the fence, even the tip! So cool! The snow was quite wet and stuck to everything large and small. It was gorgeous!